There was a bit of confusion with a previous Son of Mars that was given the ‘Bordeaux’ name, due to it’s similarity with the classic Air Jordan 7 colorway. 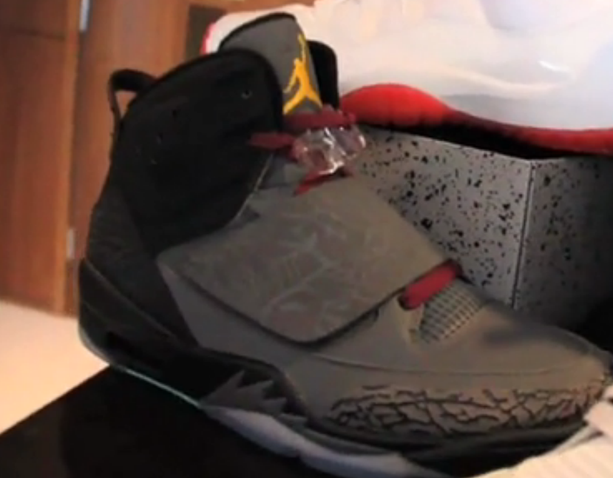 But this time, Jordan Brand has an actual Bordeaux make up in store for the Son of Mars. Releasing on September 15th, 2012, is a Dark Grey – University Gold – Bordeaux colorway of the Jordan Son of Mars, featuring suede uppers. Let us know if you’ll be purchasing this colorway.